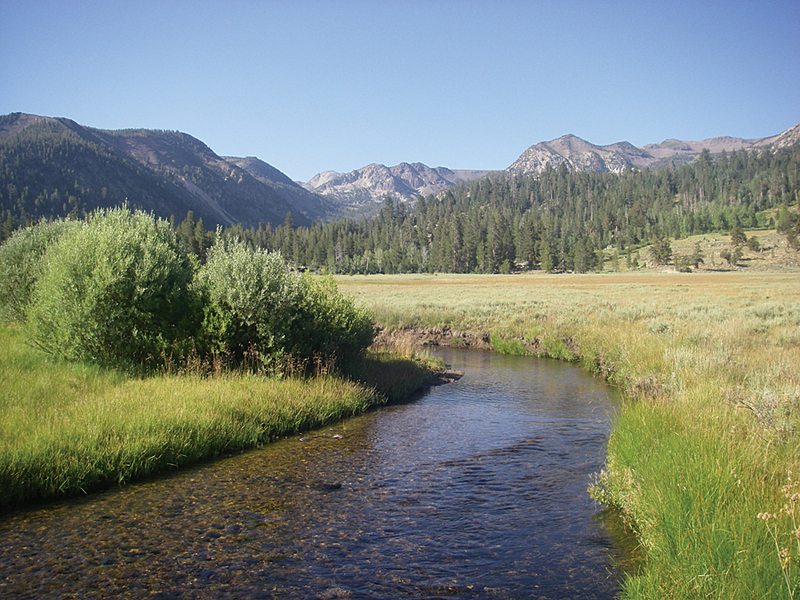 The California Department of Fish and Wildlife (CDFW) is using GIS in both the planning and implementation stages of a project that will restore a rare trout in a remote area to its historic range. The Paiute cutthroat trout [Oncorhynchus clarkii seleniris] is one of the world’s rarest trout species. It is the only western trout that consistently has no obvious spots on the body, and its native range is a single stream in California, Silver King Creek, located inside the Carson-Iceberg Wilderness. Protected as a threatened species under the Endangered Species Act (ESA), the distribution of the fish is currently limited to a short reach of Silver King Creek upstream of Llewellyn Falls and other small isolated tributaries. 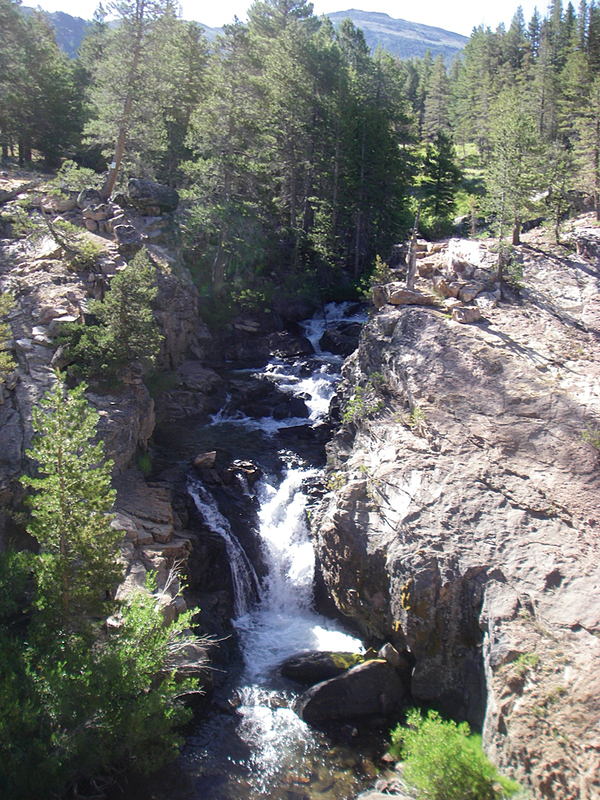 The Paiute Cutthroat Trout Restoration Project is an effort by the CDFW and several partner agencies to restore the fish to about nine miles of habitat downstream of Llewellyn Falls. This area is believed to be the historic range of the trout prior to its interbreeding with and displacement by introduced nonnative trout. Although CDFW has been working on related restoration activities for decades, two critical phases of the project were implemented in August 2013 and August 2014 when chemical treatments were used to remove nonnative trout from the selected downstream habitat. A final treatment will occur in August 2015, followed by the reintroduction of the Paiute cutthroat into this habitat from donor populations. Once Paiute cutthroat trout are restored and a self-sustaining population has been established, the species can be considered for removal from ESA protection. Geospatial technologies are helping to guide the project’s planning and implementation. 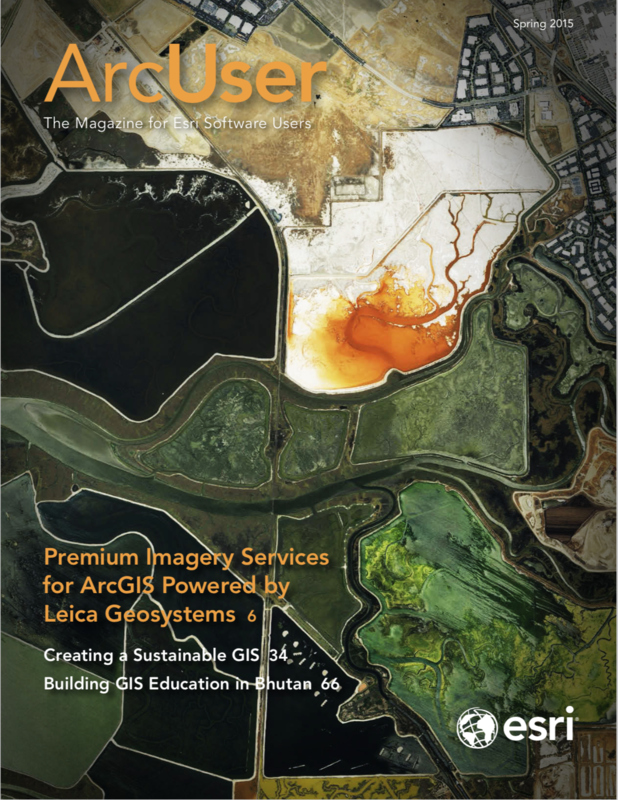 ArcGIS for Desktop is being used for GIS analysis, cartography, and data management, while Garmin GPS units are used for habitat mapping, treatment guidance, and navigation. Additional software applications in use include Map Product Creator (MPC) from Garmin and DNRGPS from the Minnesota Department of Natural Resources. While the project’s remote wilderness setting provides a uniquely scenic working environment, it also introduces some challenges. A source of sustained portable power was needed. Because all items must be carried in by foot or mule, the amount of equipment needed to be kept to a minimum. 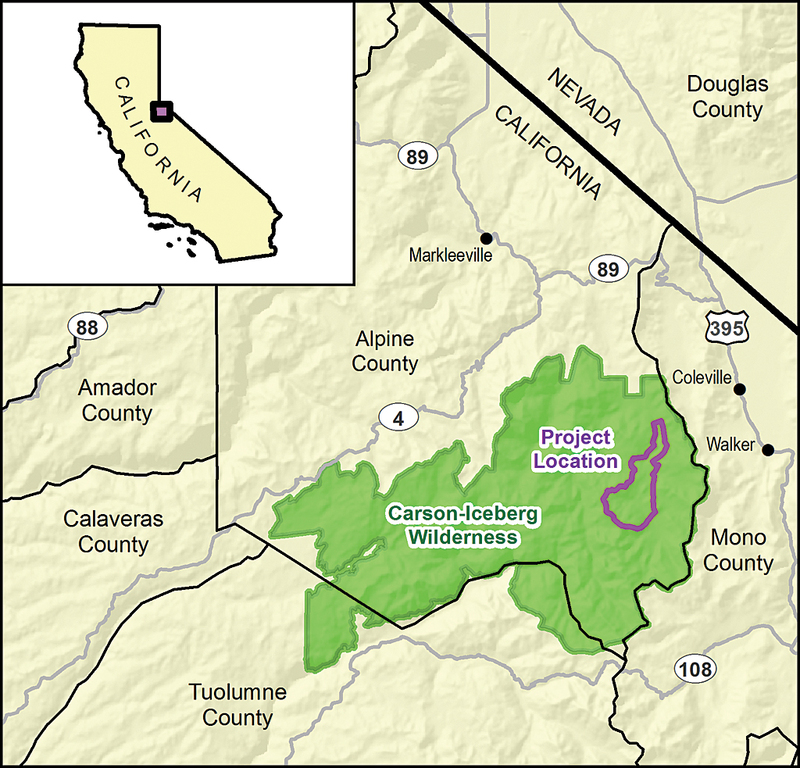 The rare Paiute cutthroat trout's native range is a single stream in California, Silver King Creek, which is located inside the Carson-Iceberg Wilderness. Detailed hydrographic GIS layers were compiled by the project team for Silver King Creek and its tributaries. The high-resolution version of the National Hydrography Dataset (NHD) provided a basis for mapped water features and was enhanced using ArcMap to digitize additional detail from recent aerial photography. Several years of GPS data and field survey notes that indicated wet areas suitable as fish habitat were also converted into additional GIS layers. A DigitalGlobe WorldView-2 satellite image was used as well. It provided infrared bands that could be viewed in ArcMap to assist with water identification. Additional GIS layers were assembled by project staff, including locations for treatment drip stations, water quality monitoring stations, fish passage barriers, trails, and other important resources. A reference GIS layer of quarter-mile-square cells (an ArcGIS fishnet) was also created. Each cell was given a unique identification number to assist with field orientation and project deployments. Quick-reference field maps of the project area were created from GIS layers using ArcMap and printed on waterproof paper. A custom Garmin GPS compatible basemap was created from the GIS layers using Garmin MPC software. For consistency, the GPS basemap used the same GIS layers, colors, and symbols that were printed on the quick-reference field maps. The on-site implementation took a week in August 2013 and a week in August 2014. 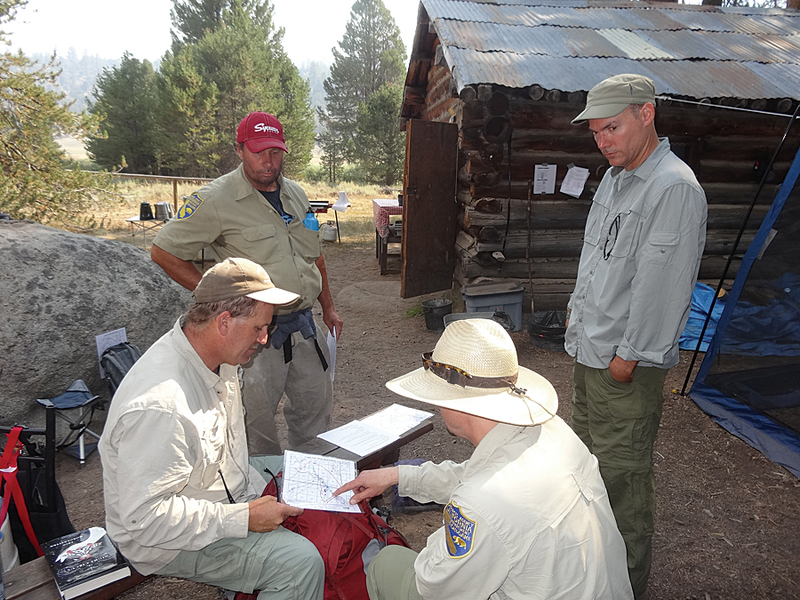 Prior to hiking into the wilderness, project staff members were issued a quick-reference field map and a Garmin GPS unit loaded with the project basemap. Most of the equipment and camping gear were transported by mule pack trains. The field GIS equipment consisted of one Hewlett-Packard laptop, one small ASUS laptop, several precharged laptop batteries, and one Brother mobile black-and-white printer, all carefully packaged for mule transport. A solar battery charger was also available. Most of the staff and equipment went to Connells Cow Camp (about a seven-mile trip one way), where a small historic cabin served as a cook station and base camp. Project staff camped nearby in tents. The chemical treatments of the creek and its tributaries involved applying rotenone [a pesticide that kills fish] using stationary drip stations and portable backpack sprayers. The staff carrying backpack sprayers used GPS units to navigate to areas that had been identified for treatment. GPS also recorded the paths traveled, recording them as GPS tracks. 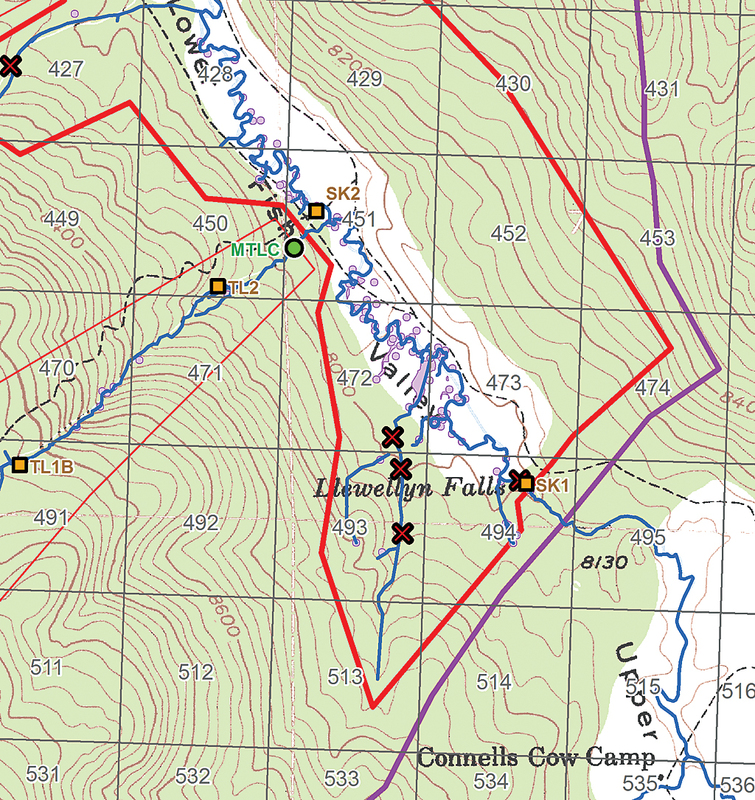 Upon returning to base camp, the sprayers’ GPS tracks were converted to GIS layers using DNRGPS and ArcGIS for Desktop. GIS layers created from the tracks were plotted on maps and printed so project leaders could confirm the backpack sprayers had traveled to the designated treatment locations. Symbolizing the data effectively to produce useful output using the mobile black-and-white printer proved challenging. ArcGIS for Desktop and other geospatial technologies are helping with this important effort to restore this rare and unique federally protected species of fish, the Paiute cutthroat trout, to its historic habitat. These technologies are improving the efficiency of the project’s planning, helping to ensure a minimal treatment footprint, and providing essential tools to evaluate success of implementation. Quick-reference field maps, based on US Geological Survey topographic maps, were used as a basemap and integrated improved hydrographic features and other reference data acquired for the project. The authors are among the many individuals and field teams that have worked toward the success of the Paiute Cutthroat Trout Restoration Project. Will Patterson is a GIS specialist with the CDFW Biogeographic Data Branch in Sacramento. Ken DeVore is a GIS specialist with CDFW South Coast Region in San Diego. Roger Bloom is an environmental program manager with CDFW Fisheries Branch in Sacramento.